These images are of the region around Messier 78. 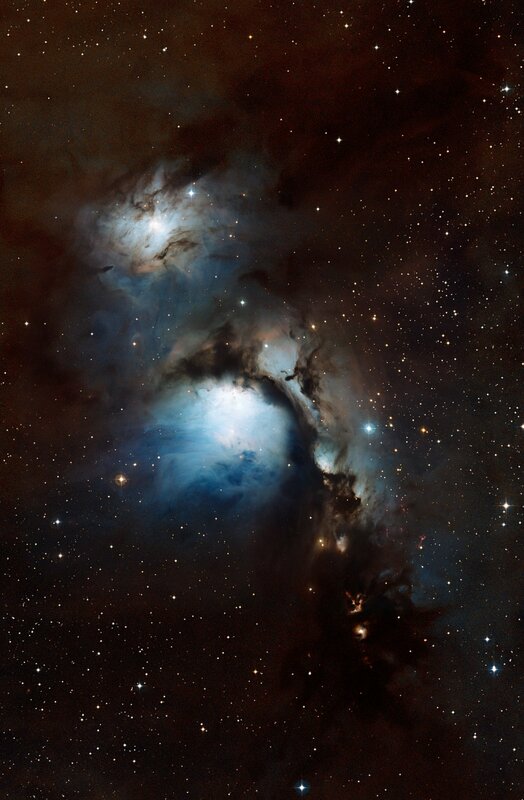 When seen in visible light, this region is a reflection nebula, meaning that we see the pale blue glow of starlight reflected from clouds of dust. Submillimetre-wavelength APEX observations are overlaid on the visible-light image in orange. They reveal the faint heat glow of dense cold clumps of cosmic dust, some of which are even colder than -250ºC. In visible light, this dust is dark and obscuring. One filament seen by APEX appears in visible light as a dark lane of dust cutting across Messier 78. 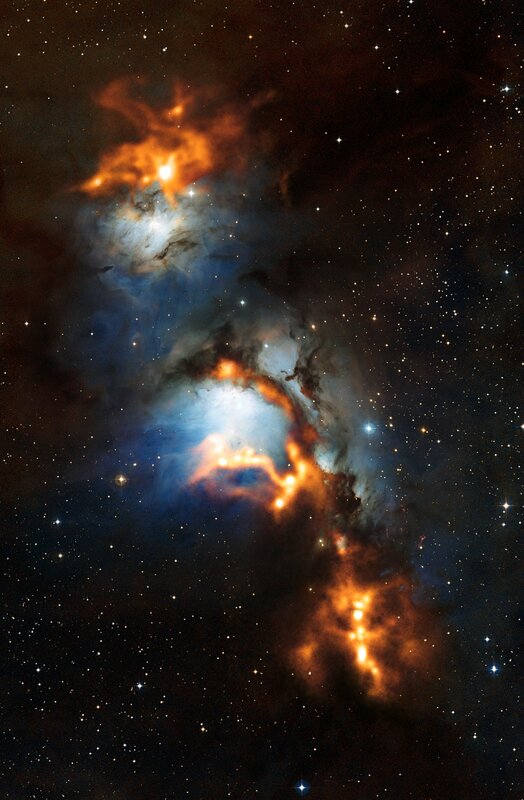 This tells us that the dense dust lies in front of the reflection nebula, blocking its bluish light. Another prominent region of glowing dust seen by APEX overlaps with the visible light from Messier 78 at its lower edge. The lack of a corresponding dark dust lane in visible light tells us that this dense dust must lie behind the reflection nebula.